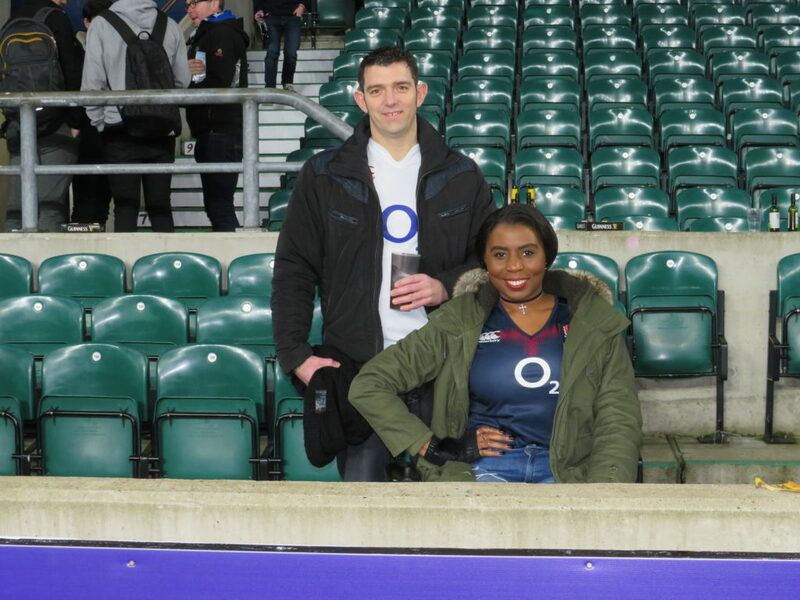 I went to the Twickenham Rugby Stadium, along with my boyfriend to see England v France in the opening weekend of the 6 nations rugby tournament. We only decided, 2 days before, to call up the accessible booking line (for which I am a member) to see if they had two tickets available for the match. Not only did they have tickets available but the tickets were complimentary – fantastic! The tickets were reserved for us, over the phone, and just had to be picked up from the box office when we arrived. 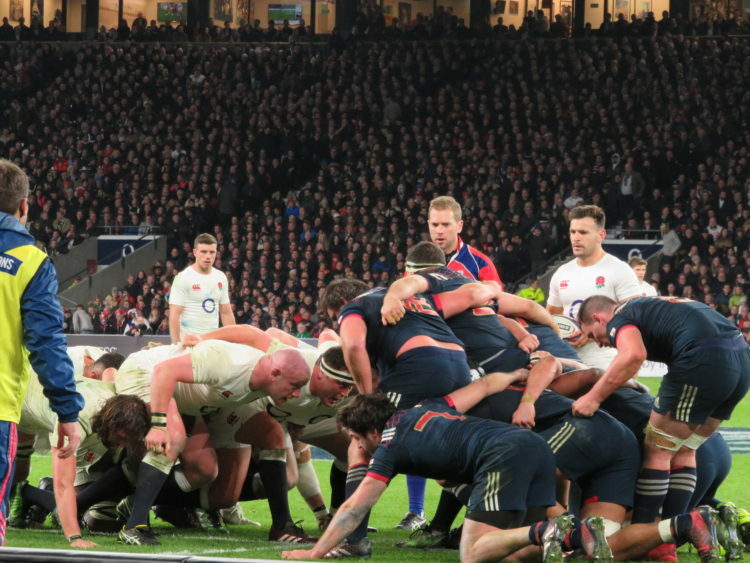 England are last year’s 6 nations grand slam winners and, having a 14 match successive test victories, had a lot of expectation and hope riding on their opening match of the 6 nations that they would get off to a flying start. 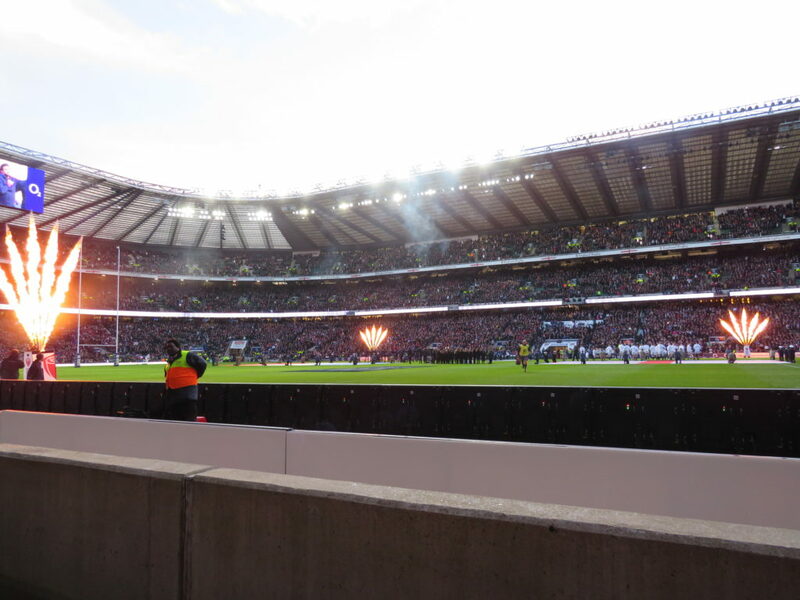 There was a great atmosphere in the Stadium as both the England and France fans excitedly made their way, from the various bars and food outlets, into the arena to wait for the 16:50 kick-off. 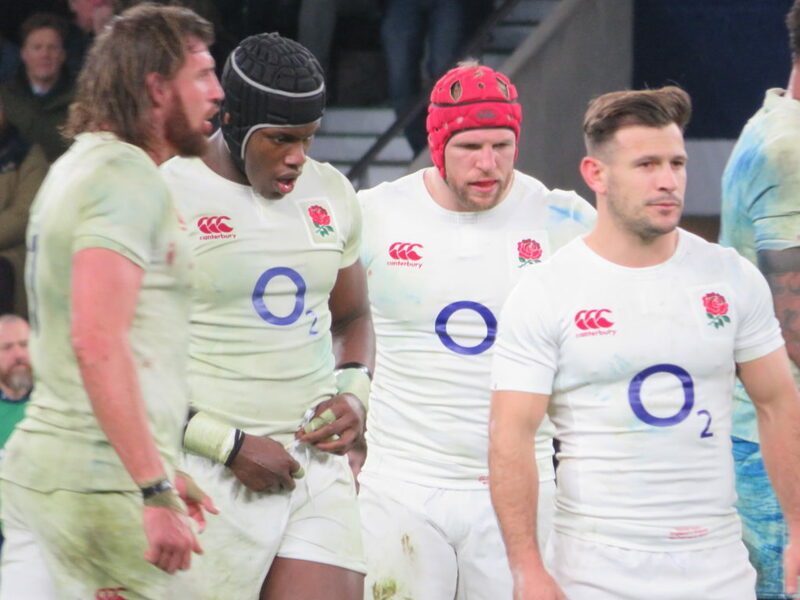 England were put under a lot pressure by France in the first half, and did well to draw the scores level with France 9-9 at the end of the first half. During the half time break, while chatting to the other fans, I noticed there were stewards walking along the touchline throwing something(?) into the crowd. I wasn’t sure what they were giving away, but I knew I wanted one. When they reached the area that I was sitting, I called to them (and waved my arms – and smiled…) and managed to get their attention. I asked if I could have one, they then threw it to me and I caught it. When I opened the package, I saw that it was an England Rugby supporter’s t-shirt. Result! Unfortunately, the t-shirt is a 2XL which is too big for me, but I can always wear it as an oversized t-shirt dress. 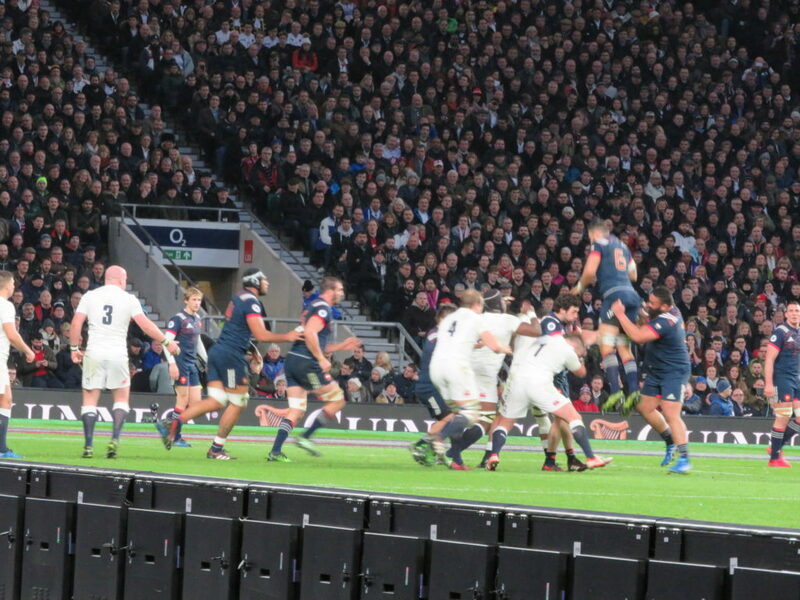 Early in the second half France managed to get ahead of the red Roses (England) 16-12 to Les Bleus (France). 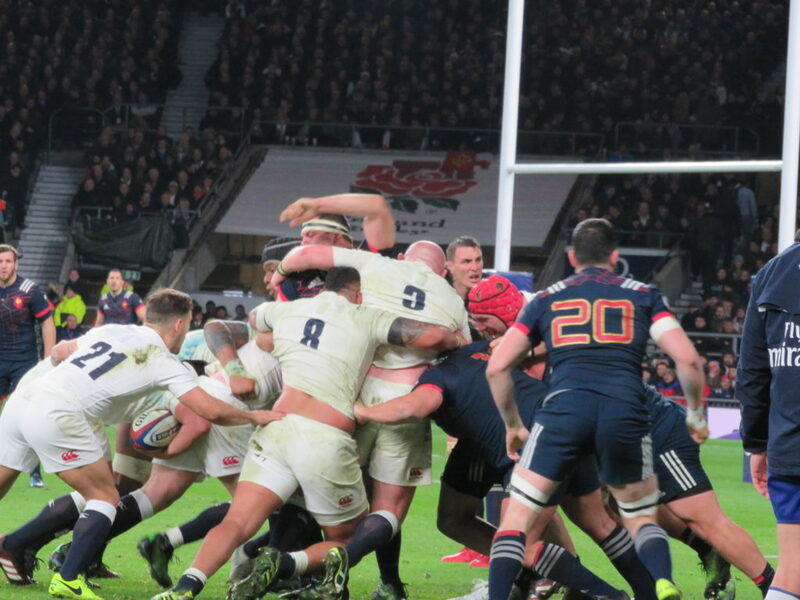 England then dug deep and came back with a try and a conversion for a 19-16 England victory, to take their unbeaten run to 15, a new national record. 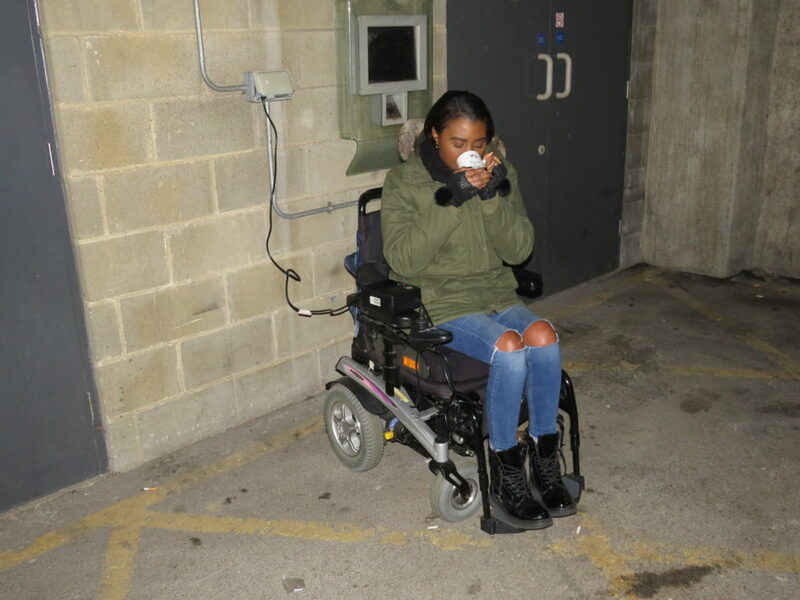 After the match, we looked for a plug where I could give my wheelchair a boost of charge (my batteries are not lasting as along as it used to and I need new ones), sadly the only plug we found was outside – in the cold. While waiting for my wheelchair to charge a member of staff came asked if I wanted a hot drink to keep warm while I waited, which was very nice of them. Not being a tea or coffee drinker I opted for hot water. 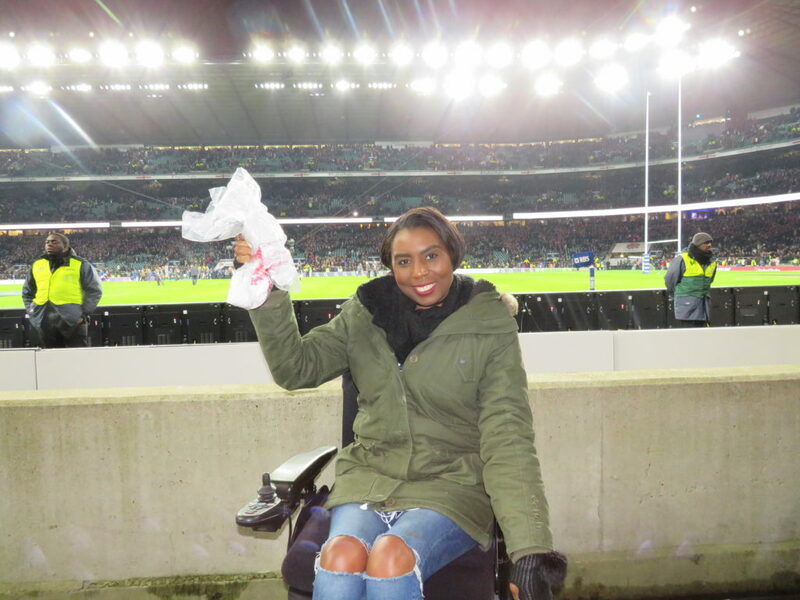 We had a lovely time at the rugby, as was the case for my previous two times. 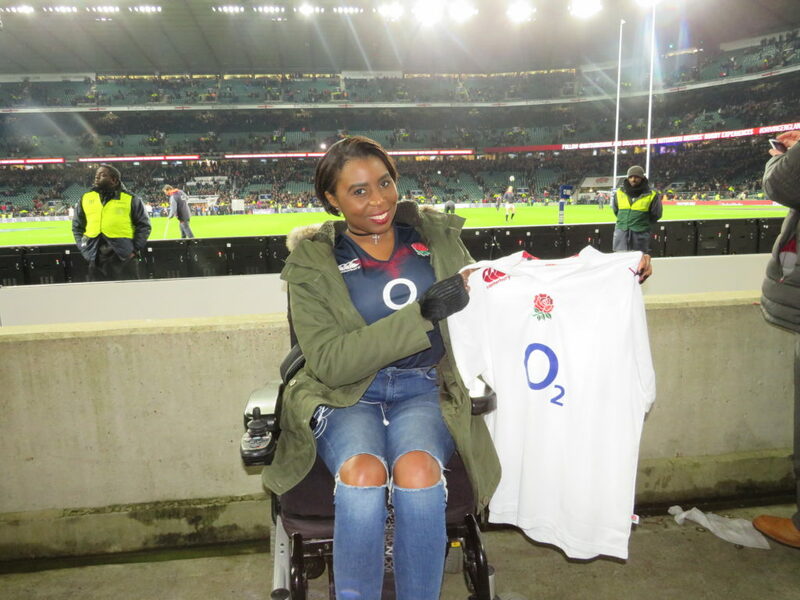 I am fast becoming a regular at the home of English rugby, and you know what? I don’t mind because is I really enjoy it.